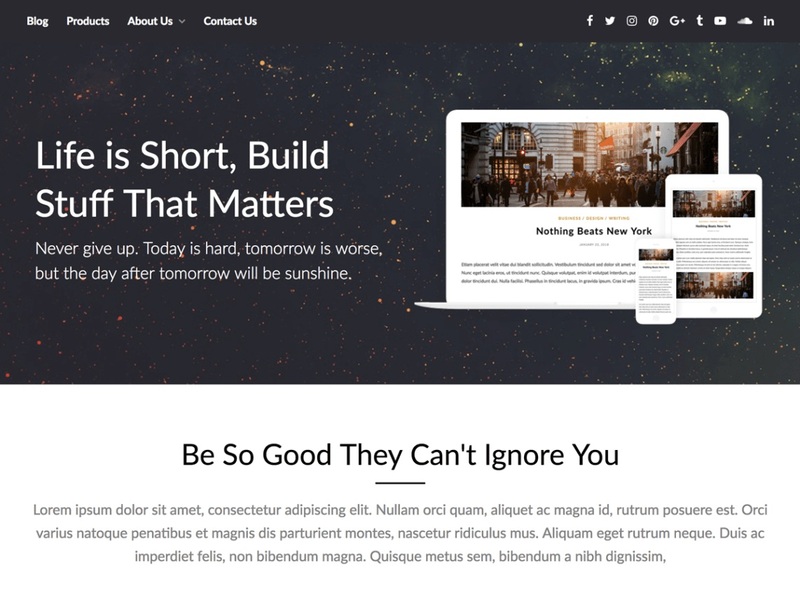 PageBuilderly is a responsive landing page and one page WordPress theme. The theme is best described as a multi-purpose theme, it works for business, blogs, journalists, authors, newspapers, products, apps etc. The theme is primarily a business / corporate theme, due to that we implemented Beaver Lite Pagebuilder in the theme which can be found in the plugin section. 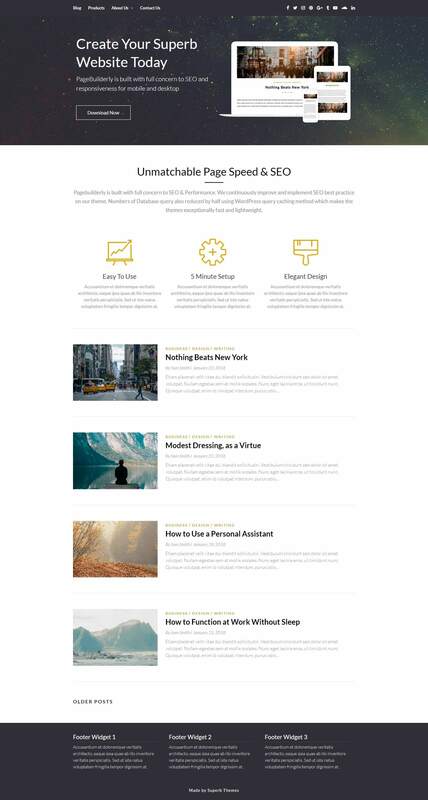 This WordPress theme comes with a simple blog/news layout where you can write about anything from food, travel, fashion, lifestyle, reviews, products or other entertainment niches. The theme is simple to set up but has a lot of features for both affiliate marketing, i.e. lots of advertisement space for affiliate programs such as Google AdSense – of course, this kind of website requires an SEO optimized, creative and modern theme, which Pagebuilderly is. Photography images look awesome in the theme, so it’s a great portfolio theme, just like it works great for 1-page websites. To sum it up the theme is responsive so it works on all types of phones, tablets and desktop computers. And yes, it’s completed SEO Optimised (search engine optimization) of course.